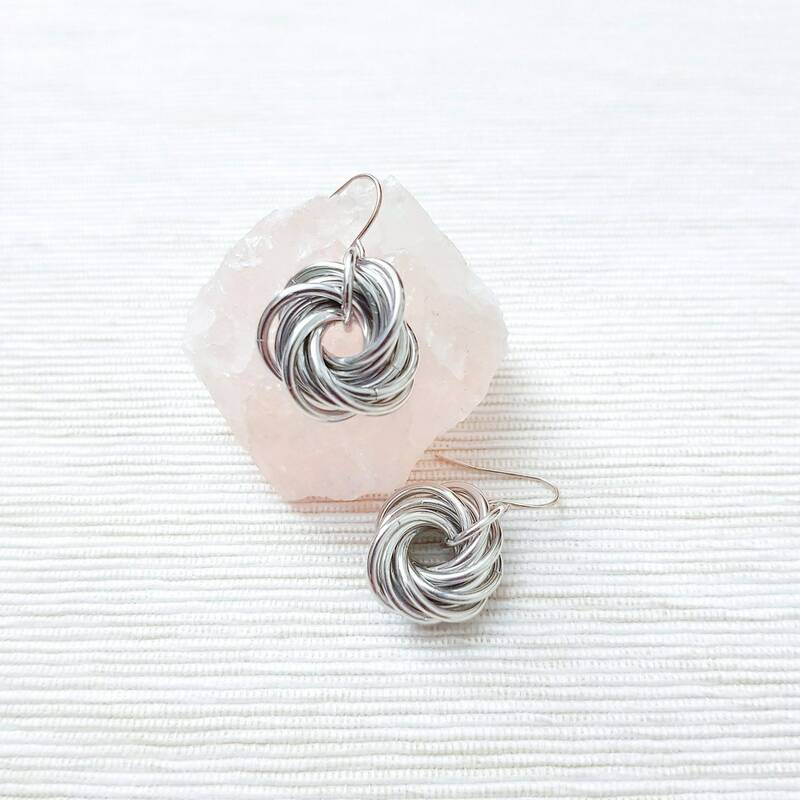 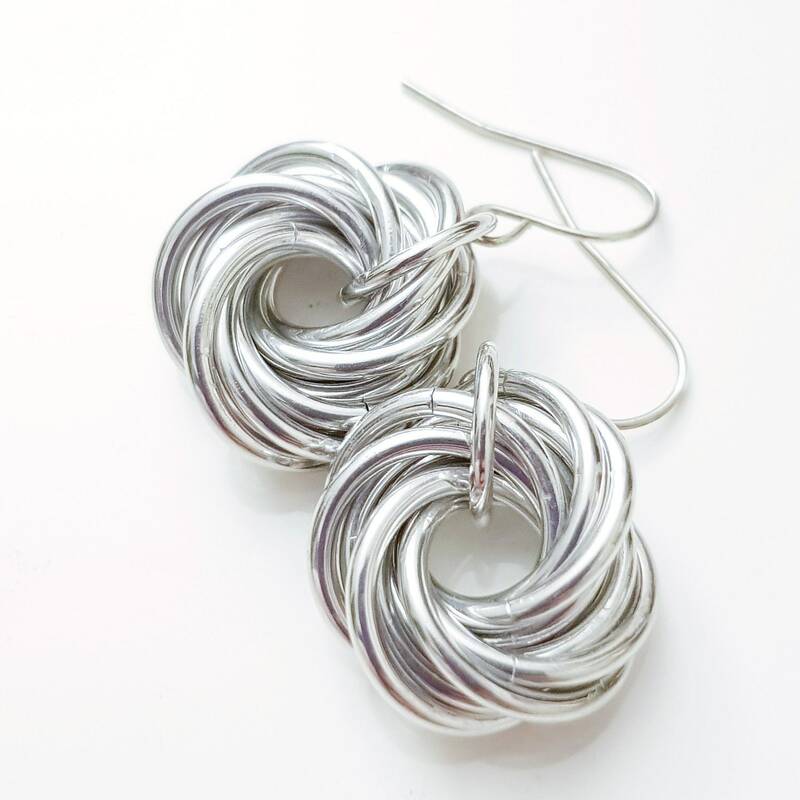 Anodized aluminum love knot dangle earrings. 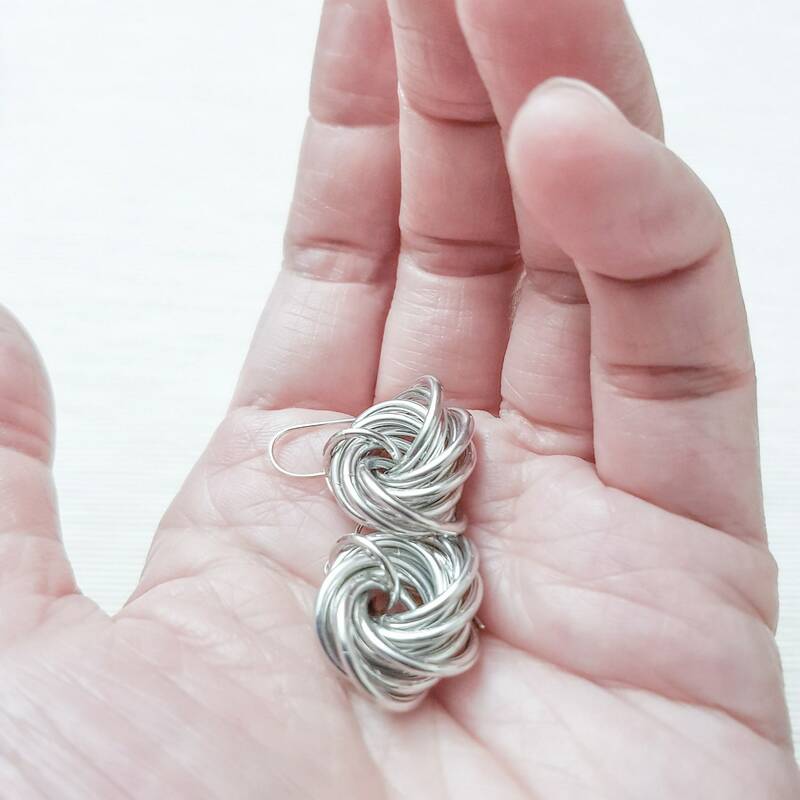 Tarnish-free and light weight for all day wear. 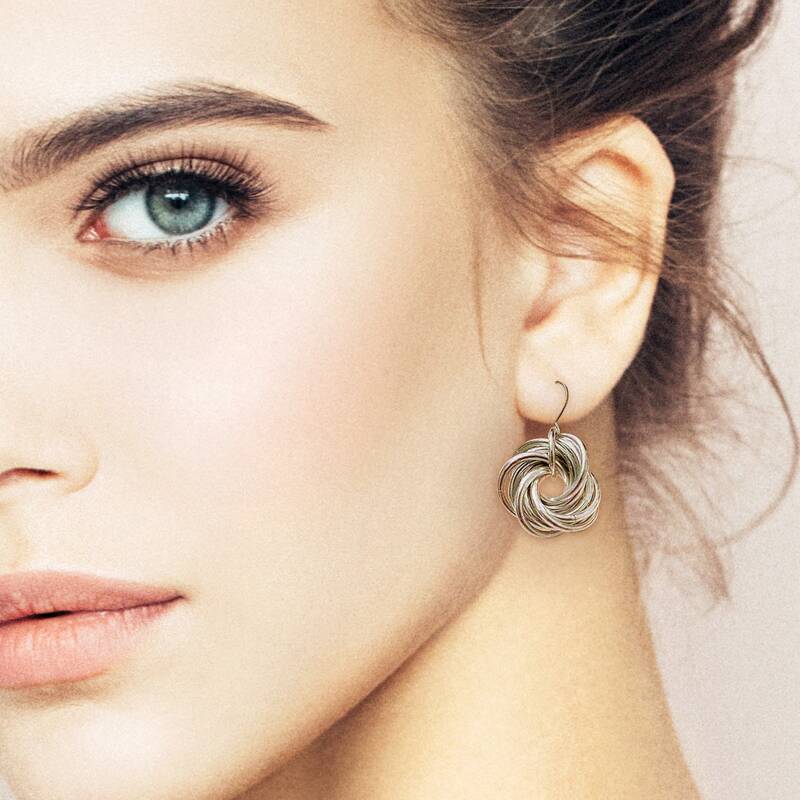 A go-to classic statement earrings for work, leisure and party.